Now that nearly two out of three Americans own a smartphone, it is safe to say that the mobile revolution has arrived. It has also been proven that email is the top activity on smartphones, beating out social media. With that said, it’s time for staffing firms to change the way they are communicating with their target audience by creating mobile friendly emails. Here are five key ways to creating a mobile friendly email. The majority of smartphone users have mail applications that enable images by default. With that said, it’s important that you think about what imagery you’re using in each email marketing message. Rather than including random images in your emails, consider using an image that is linked to the content and is eye-catching. Whether your email marketing is business-to-business or business-to-consumer, images matter. Although no one wants to have an “unsubscribe” button within their emails, it’s important that if you have one to place it strategically. Make sure this link doesn’t appear too close to other links within your email. One way to ensure this doesn’t happen is to test the email on a mobile device before sending it out. Remember, the format is different on a mobile device; therefore, remember to strategically place links. With smaller screens, there is less real estate to capture the attention of your target audience. The rule of thumb when creating a mobile friendly email is to get your message across in 40 characters including spaces, or less. Remember, short subject lines have the highest open and click rates and is often the difference between an open, a delete or ignore. Due to the limited real estate on mobile devices, it’s key to use simple email layouts. Multi-column layouts make your audience have to zoom or scroll to see all of the content; therefore, stick to one-column layouts to ensure it’s easy for your audience to read and navigate through. It’s important when creating a mobile friendly email for your staffing firm to ensure your call-to-action is bold and obvious to viewers. 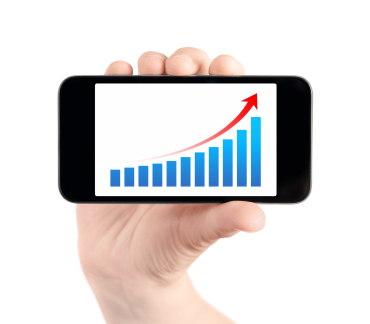 Remember, when it comes to mobile devices, real estate is at a premium. Your audience is not going to search for your call to action; rather they are going to scroll quickly through the email. Make sure your call to action links are a large enough size to where it’s easy to click on.